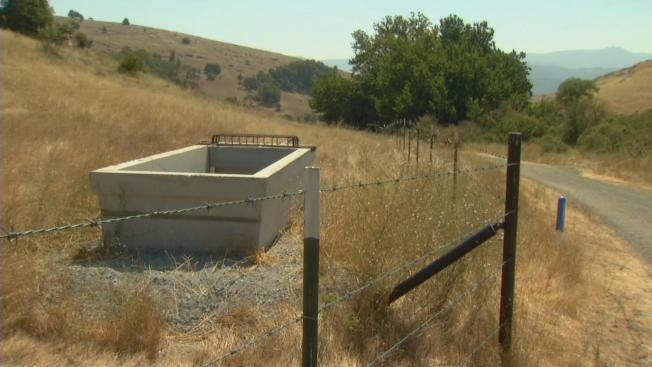 County and state officials are investigating the discovery of a poisonous substance found Wednesday inside a water trough at a county park in South San Jose, county officials said. A park employee found the substance, believed to be a chemical used to kill rodents, in a trough on the Mine Trail at Santa Teresa County Park. Park rangers, the Santa Clara County Sheriff’s Office and the California Department of Fish and Wildlife were on the scene, looking for possible suspects. The trough is available to horses, dogs and wildlife. It is not known if any animals have been exposed to the poison, officials said. Equestrians and dog owners are cautioned to inspect troughs before allowing their animals to drink. News of the incident was disturbing to park visitors. “I think that’s awful," said Dulce Aviles. "People are coming out here to enjoy nature and the wildlife." activity or seen animals behaving erratically should immediately contact the Hellyer-Santa County Park Rangers office at (408) 225-0225.